Ms. Vanderzyden is a successful entrepreneur, author, and Certified Public Accountant. Her main focus today is sharing her extensive business knowledge with privately owned companies as they grow their business and ultimately transition through selling for the most profit. 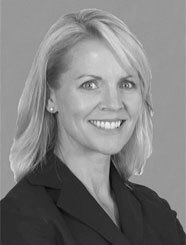 Ms. Vanderzyden began her career as a CPA with Coopers & Lybrand, now known as PricewaterhouseCoopers, then as an asset manager with Northwest Asset Management in Los Angeles. Following her positions in the corporate world she transitioned into entrepreneurship and has owned and sold several businesses. Because of her continued connection to the challenges of privately held businesses, she is an expert contributor for Fox News and other media outlets. In addition to television and radio appearances, she is also a featured blogger on numerous sites, and international speaker. Chris is the bestselling author of 7 Steps to Entrepreneurial Victory. As a global ambassador to women entrepreneurs, she serves on the board of The BOMA Project, a Kenyan NGO that guides women in the arid lands out of poverty through the vehicle of small business ownership. Ms. Vanderzyden earned a BS in Accounting and Economics from State University of New York Oswego.